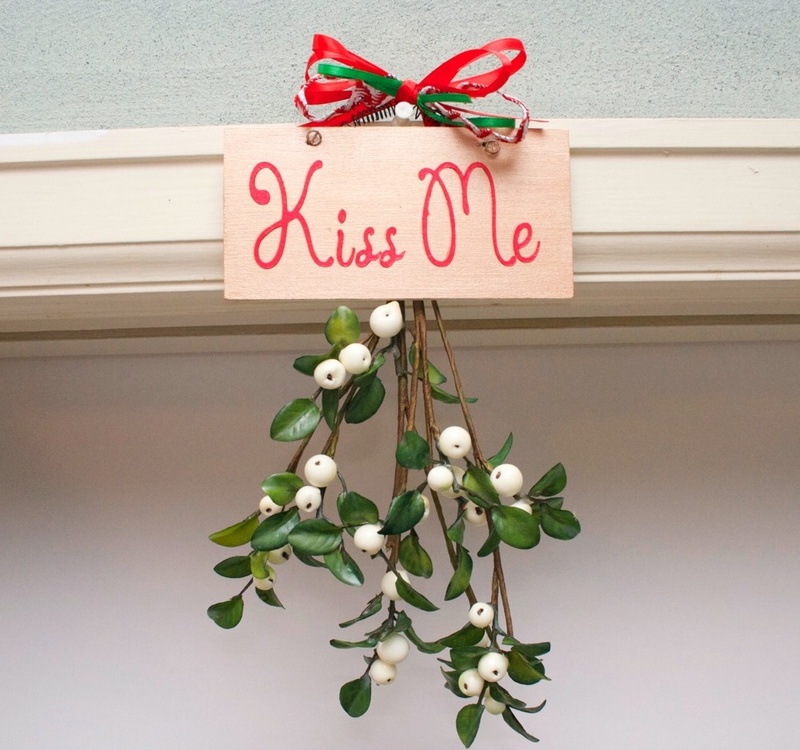 Traditional Tales: Why Do We Kiss Under the Mistletoe? Why do we kiss under the mistletoe? What’s the big idea? We dove into the interwebs to find out exactly where this tradition originated. We found some interesting stuff regarding ancient rituals and medicinal usage on top of the current-day tradition of just hanging it in the doorway and waiting underneath for a smooch! Read on to see a few of our favorite explanations: some are pretty strange, and not as romantic as you’d think! “Many ancient cultures prized mistletoe for its healing properties. The Greeks were known to use it as a cure for everything from menstrual cramps to spleen disorders, and the Roman naturalist Pliny the Elder noted it could be used as a balm against epilepsy, ulcers and poisons. The plant’s romantic overtones most likely started with the Celtic Druids of the 1st century A.D. Because mistletoe could blossom even during the frozen winter, the Druids came to view it as a sacred symbol of vivacity, and they administered it to humans and animals alike in the hope of restoring fertility. Another famous chapter in mistletoe folklore comes from Norse mythology. As the story goes, when the god Odin’s son Baldur was prophesied to die, his mother Frigg, the goddess of love, went to all the animals and plants of the natural world to secure an oath that they would not harm him. But Frigg neglected to consult with the unassuming mistletoe, so the scheming god Loki made an arrow from the plant and saw that it was used to kill the otherwise invincible Baldur. According to one sunnier version of the myth, the gods were able to resurrect Baldur from the dead. Delighted, Frigg then declared mistletoe a symbol of love and vowed to plant a kiss on all those who passed beneath it. Mistletoe can only grow if its seeds are carried to a “host” tree by birds that have eaten mistletoe berries. Typically, a bird will squeeze a mistletoe berry in its beak, squishing out a sticky, coated seed. The bird eats the fruit and cleans the sticky coating, called “viscin,” off its beak by wiping it against a nearby branch. As the viscin hardens, the seed becomes firmly attached to the host tree. Celtic druids believed that mistletoe contained the spirit of the tree in which it grew; this was the only part of the tree that stayed green all winter. From the earliest times mistletoe has been one of the most magical, mysterious, and sacred plants of European folklore. It was considered to bestow life and fertility; a protection against poison; and an aphrodisiac. The mistletoe of the sacred oak was especially sacred to the ancient Celtic Druids. On the sixth night of the moon white-robed Druid priests would cut the oak mistletoe with a golden sickle. Two white bulls would be sacrificed amid prayers that the recipients of the mistletoe would prosper. Later, the ritual of cutting the mistletoe from the oak came to symbolize the emasculation of the old King by his successor. Mistletoe was long regarded as both a sexual symbol and the “soul” of the oak. It was gathered at both mid-summer and winter solstices, and the custom of using mistletoe to decorate houses at Christmas is a survival of the Druid and other pre-Christian traditions. The Greeks also thought that it had mystical powers and down through the centuries it became associated with many folklore customs. In the Middle Ages and later, branches of mistletoe were hung from ceilings to ward off evil spirits. In Europe they were placed over house and stable doors to prevent the entrance of witches. It was also believed that the oak mistletoe could extinguish fire. This was associated with an earlier belief that the mistletoe itself could come to the tree during a flash of lightning. The traditions which began with the European mistletoe were transferred to the similar American plant with the process of immigration and settlement. The above are just a few of many explanations on where mistletoe came from & what it was used for in the past and present… check out PINTEREST for tips on how to decorate your home with mistletoe this holiday season! PUCKER UP! Previous Previous post: LED vs. Incandescent: Which is Best for Holiday Lighting?